We have entered a transformative period in cancer prevention, including early detection. In a special report published in the January 2016 issue of the American Association for Cancer Research’s Cancer Prevention Research, Thomas W. Kensler, PhD, and colleagues highlight this pivotal juncture in the history of cancer prevention and lay out a brief agenda for the immediate future of this field, including a proposed “Pre-Cancer Genome Atlas” or “PCGA,” with important implications for the broader domain of personalized public health. Remarkable advances in next-generation sequencing (including single cell sequencing), liquid biopsy technology, big-data analytics, and immune-oncology are decoding the molecular and cellular events that initiate genetic, epigenetic, and tumor microenvironment alterations that drive the development of cancer. There are a number of reasons why cancer prevention is beginning such a critical phase in its history, including recent data that questions the underlying foundation and principles of this field. Early last year in January, a contentious report in Science posited that most cancers are due to random mutations incurred during DNA replication ­– basically that getting cancer is just “bad luck.” But the first primary study (published three weeks ago in Nature) since the Science “bad luck” paper also used sophisticated mathematical modeling to stringently test this hypothesis and reached the exact opposite conclusion: that getting cancer is not just bad luck but is, in fact, mostly preventable. Genomic studies have identified a premalignant state of clonal hematopoiesis for blood cancer, driver mutations in the blood of patients with epithelial premalignant lesions, and the elusive premalignant lesion of melanocytic neoplasia. Significant progress has been made in the development and implementation of HPV screening and vaccination. There have been major advances in the development non-viral vaccines for colon and breast cancer, including novel vaccines for Lynch syndrome and BRCA mutation carriers. The U.S. Preventive Services Task Force (USPSTF), an independent, volunteer panel of national experts who make evidence-based recommendations about clinical preventive services, recommended low-dose aspirin for colorectal cancer (CRC) prevention based on age and risk, and the first precision medicine trial was reported, beginning a new era of molecular selection in cancer prevention. Studies of the biology of tumors that develop in individuals with cancer predisposition gene mutations established new chemoprevention for familial adenomatous polyposis syndrome and universal tumor screening guidelines (based on DNA mismatch repair mutations and microsatellite instability) for CRC in Lynch syndrome along with new data from a large-scale National Cancer Institute (NCI) National Clinical Trials Network study supporting expansion of this novel screening approach to endometrial cancer. Finally, researchers clinically validated the first genomic markers for standard early detection of colon and lung cancer. This next generation of molecular testing holds the promise to detect biologically aggressive lesions, which would be absolutely transformational. These are just a few recent examples of the rapid advancements in this field that are changing perceptions and standards of cancer prevention, including early detection. Just as precision medicine and immune-oncology are revolutionizing cancer therapy, these approaches have established paradigm-changing clinical advances in chemoprevention, screening, and vaccines that are transforming cancer prevention. Next month, an AACR Cancer Prevention Summit, “Shaping the Future of Cancer Prevention: A Roadmap for Integrative Cancer Science and Public Health,” will build upon the momentum generated by the recent NCI Cancer Prevention Think Tank Meeting (November 2015) and European School of Oncology’s World Oncology Forum (October 2015) entitled “Stop Cancer Now! Prevent the Preventable.” This summit will convene diverse experts, representing key stakeholders from all cancer prevention disciplines, to discuss the current state of cancer prevention science and identify top priorities and future research directions for this essential component of cancer research, and discuss how to best serve the public by advancing public policy, public education, and services related to cancer prevention and screening. These events further highlight the ongoing commitment of organizations such as the AACR and NCI to lead in the support of cancer prevention research and translation to the public domain. We stand at the edge of a new frontier that will include comprehensively characterizing the molecular and cellular events that influence cancer development. The technology and science are evolving rapidly and herald a new era of precision medicine and immune-oncology in cancer prevention that will require new paradigms for implementation into clinical practice. 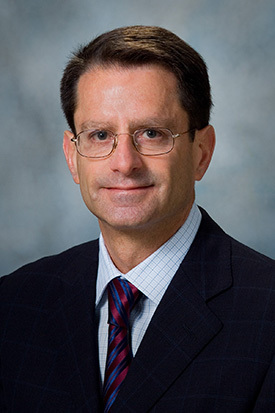 Scott M. Lippman, MD, is director of the UC San Diego Moores Cancer Center, editor-in-chief of the AACR journal Cancer Prevention Research, co-chair of the AACR Cancer Prevention Committee, and member of the AACR board of directors. Read his full bio.